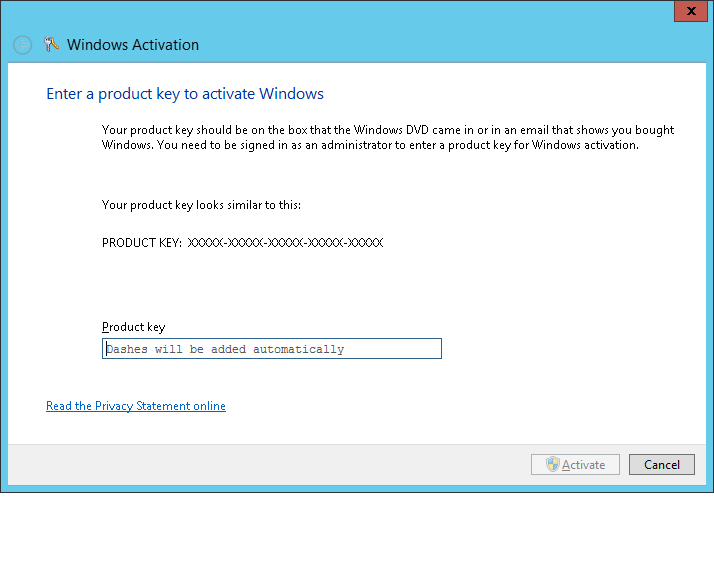 I had a request to add a purchased product key to a server running a trial version of server 2012. We are still learning the new layout so of course the question was how? A quick check found we could change it via a GUI. There is the command line; but, I wanted to use the GUI. Simply cut and paste the new license, click Activate and the change will happen.